Get tickets to Theater Class for Kids! PLEASE NOTE: Artful.ly is still in the process of creating "registration" to their site. Until then, selecting a "Ticket" below equates with the number of students you are signing up for each class. Thank you for your patience! Theater Class that BURSTS with Creative Fun! Save $10 by signing up for the Full Session. We never refuse a student on the basis of financial need! 1. You can pay in three installments. Contact us for details, ensotheatre@gmail.com. 2. Homestead Schoolhouse Students (& alum) receive a $10 discount on the full session. Use the code HOMESTEAD at checkout. 3. ​Sibling/Friend Discount: If you bring a friend or a sibling to our first day of class and both of you register for the full session that day, take $10 off tuition! Use the code BUDDY at checkout. 4. Work/Trade options available on a case-by-case basis. Email ensotheatre@gmail.com for more info. *The first 15 minutes of our first day of class, parents are invited to a brief informational welcome meeting. 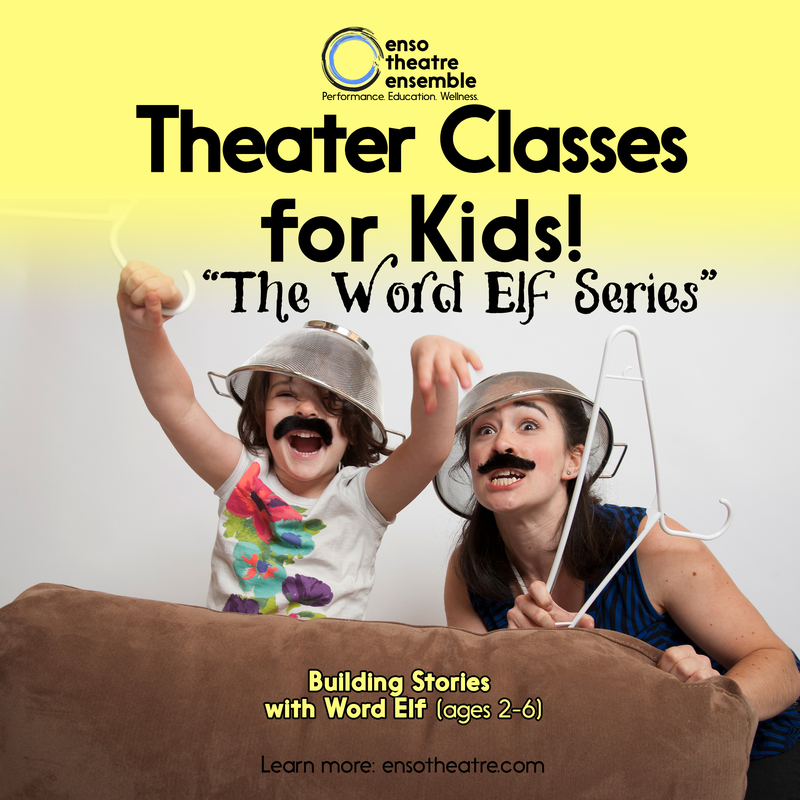 Save $10 by signing up to join us for all 10 weeks of "Building Stories with Word Elf"! If you know the date(s) your student(s) will be absent, purchasing one or more classes ahead of time helps teachers Caitlin & Maya plan class based on attendance.